Officers use traps like this one photographed in 2015 to capture bears. Colorado Parks and Wildlife officers euthanized a bear and her two yearlings Tuesday because they were breaking into homes along Florida Road and in the SkyRidge subdivision. A bear and her two yearlings were trapped and euthanized Tuesday after breaking into multiple homes during the past three weeks in Durango. The bears had either broken into or attempted to break into six homes near Florida Road and in the SkyRidge subdivision, said Matt Thorpe, area wildlife manager for Colorado Parks and Wildlife. It is likely the bears caused other problems that were never reported, he said. It is not a decision CPW takes lightly. However, euthanizing the bears was the only option for CPW officers in this case because the bears had regularly sought food in homes, he said. “They would have put public safety in jeopardy,” Thorpe said. The bears broke into homes through dog doors and a window, and they pushed their way into garages. In one case, the bears failed to break into a home but ripped off a screen door, Thorpe said. The bears associated people with food, and if CPW relocated the bears, they likely would have continued the behavior, he said. “The chances of a bad interaction are just too high,” Thorpe said. They were the first bears to be euthanized this season. The three bears started causing problems near homes in early May, but CPW did not hear about the problem for a week. By the time the agency was informed, the bears’ behavior had escalated and residents were having trouble scaring them away. If CPW is informed of problem bears earlier, they can often deter bears from visiting homes or relocate them. “We can intervene in a way that can cause those bears to straighten up,” he said. 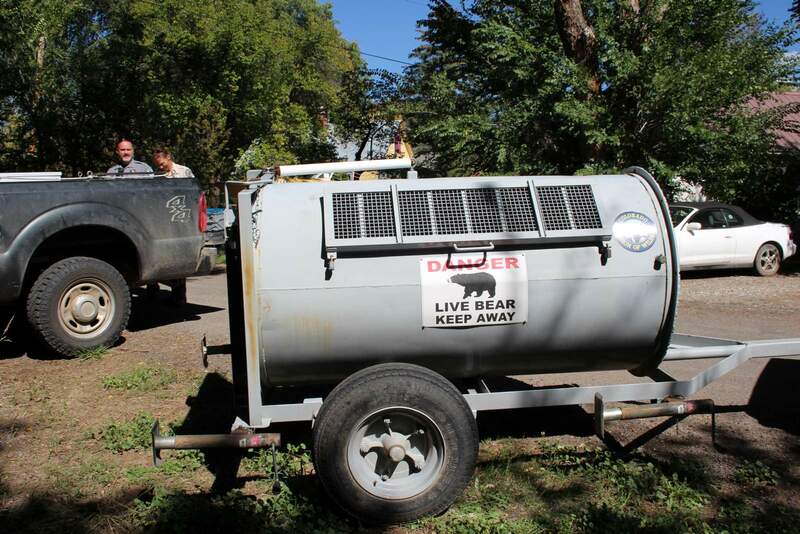 For example, a bear foraging recently at a home in western Montezuma County was successfully trapped and moved. While it has been dry, there is natural food in the forest available to bears. When the monsoon begins, the rain will help ensure bears have enough food into the fall, he said. Last year, a late frost killed natural sources of food and drove many bears to forage near homes and in garbage cans. As a result, 60 bears were euthanized in Southwest Colorado. Bear populations in the area remain robust and healthy, Thorpe said. To report a problem bear, call CPW at 247-0855.